Comment: We need the walls of our home painted. The home is 1,100 Sr. Ft. including the garage but we do not want the garage painted. Comment: (Exterior) Paint second story dormers, five (5) sets of shutters and front door. Comment: Paint ceiling in great room. Dimensions: 24x45 with 11.5 foot ceiling. There is a stair well involved. Comment: buying home on Boone Lake and want to repaint prior to moving in. Comment: Purchasing home on Boone Lake and need to update rooms before we move in. Room has vaulted ceiling. Comment: removal of unpainted popcorn ceilings, minor edge repair, painting ceilings, walls, and trim. Comment: condo, 2 levels- walls and ceiling in living room/dining comb and ceiling above stairway. Piney Flats Painting Contractors are rated 4.85 out of 5 based on 203 reviews of 16 pros. 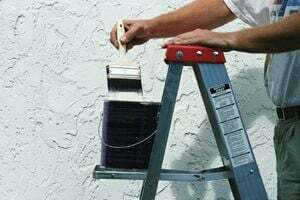 Not Looking for Painting Contractors in Piney Flats, TN?